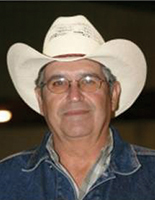 The Texas Thoroughbred Horsemen’s Benevolent and Protective Association (TTHBPA) recently concluded its annual Board of Directors election. TTHBPA members were selecting two owner and one trainer representatives. Newly elected to the board are owners Kathy Stephens Arnold and Dr. Richard Weilburg. Incumbent Eleuterio "Junior" Martinez, Jr. was re-elected in the trainer category to receive another term on the TTHBPA Board. Kathy Stephens Arnold and Dr. Richard Weilburg replace outgoing directors Larry Christopher and Don Weeks. The THP would like to express its sincerest gratitude to Mr. Christopher and Mr. Weeks for their years of service to the THP and its horsemen and women.